Produktinformationen "Pesso, Al: Depression as a Defense Mechanism (englisch)"
Depression coupled with Negative Transference and Resistance may arise as a consequence of an overload of unbound nuclear energies of aggression and sexuality that arise from unconscious brain processes that are a result of seeing or hearing stories of injustice and broken family networks too early in life. How to handle the havoc that is created in the psyche and body of clients from hearing stories and seeing events of injustice and broken family and cultural networks too early in life. Albert Pesso, co-founder with his wife, Diane Boyden-Pesso, of PBSP, Pesso Boyden System Psychomotor and President of the Psychomotor Institute, Inc. was formerly Associate Professor and Director of the Dance Division at Emerson College, Supervisor of Psychomotor Therapy at McLean Hospital in Massachusetts and Consultant in Psychiatric Research at the Boston VA Hospital. He has conducted training programs in PBSP in the US, Brazil, Israel and in many countries in Europe. He and his work with PBSP for the German GTZ Mission in The Democratic Republic of Congo have been featured in a documentary film, "State of Mind" distributed by Icarus Films. He is the author of many books and articles on PBSP, and a frequent lecturer at universities, hospitals and clinics in the US and Europe. At present, he continues his intensive training schedule in the United States and Europe, and also leads programs and sees individuals in Boston, Massachusetts. Vortrag in englischer Sprache im Rahmen des 2. AGHPT-Kongresses vom 25. - 28. September 2014 in Berlin, ca. 54 Min. 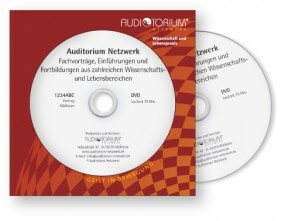 auf 1 CD oder 1 DVD. Weiterführende Links zu "Pesso, Al: Depression as a Defense Mechanism (englisch)"
Kundenbewertungen für "Pesso, Al: Depression as a Defense Mechanism (englisch)"